There is no doubt, interesting content matters. High-quality article hooks your reader, as well as the right visual design. But is it all just about words and pictures? We’re sure there is something about Academies that attracts learners, in addition to your lessons. We are talking about gamification. 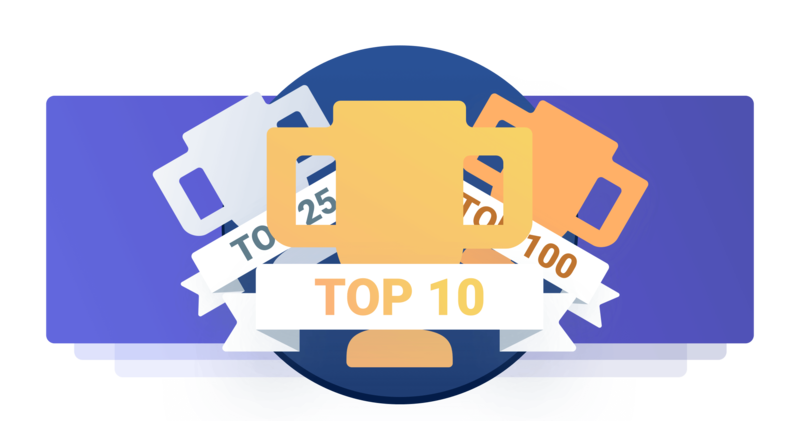 In simple words, gamification means enriching ordinary activities with game elements: ratings, awards, social interaction between participants. All this stuff increases motivation and engagement. After all, it’s simply fun. What it all has to do with Academies? Academies were tailored to gamification principles from the very beginning. We wanted to make them dynamic, interesting and catchy. Quizzes. Adds challenge to a learning process. Clicking “Next” button after finishing lessons. It’s quite similar to a check-list. Certificates. Rewards that learners earn at the end of a course. The whole structure of Academies was created to enjoy the feeling of finished “missions”. The only thing it lacked was “social interaction” between learners. Well, now we are making the first step towards it. Ladies and gentlemen, meet your top learners! Have you ever imagined your customers could compete with each other in the knowledge of your product? Now, we are close to making it possible. From this chart, you can learn a lot about your learners and which of them are the most active. Also, you can export it as CSV file. So convenient! 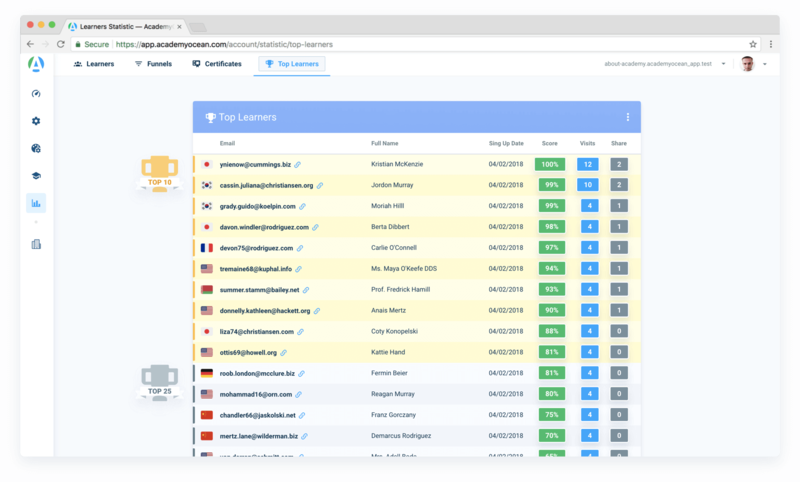 Learners can get to the Top list by increasing their Score. It is done by completing lessons and courses. Learners with the same score are ranked according to the number of Academy visits and shares. In the beginning, it will be easy to get to your new Academy Top Learner list. Every learner gets to it after they open at least one lesson. But the more learners you have, the harder it will be to stay on top. This is why we say it’s a part of gamification. It’s one thing when you complete lessons that are created to make you feel like a player who passes levels or stages. It’s another thing to see how other people are making progress in it and how they seek to be among the best. Competition will encourage your learners to try harder and become “top masters” in your Academy. Win!